Steve’s breakdown: Schrader Cellars is the winery and if you’re new to the category, this could be a great introduction. 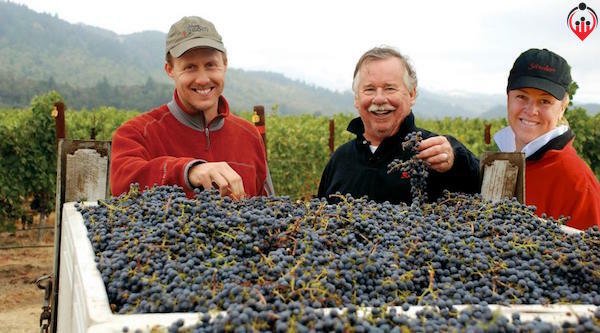 CALISTOGA CA: Constellation Brands has paid approximately $60 million when it purchased Napa Valley brand Schrader Cellars. Constellation is the world’s second-largest wine company, selling more than 40 million cases of wine annually in the United States alone, while Schrader produces 2,500 to 4,000 cases a year, depending on the vintage. But Constellation believes Schrader and its collectible Napa Cabernets offer big potential as the company increasingly targets premium wine drinkers. Neither Constellation nor Schrader would comment on the report. Schrader is one of Napa’s premier Cabernet labels, selling for $200 a bottle. The wines are routinely brilliant, exciting, consistent and ageworthy, frequently earning scores of 95 to 100 points in Wine Spectator blind tastings, with a lengthy waiting list of potential buyers. The value of a wine brand has many tangibles, and those include inventory and a valuable mailing list. But Schrader has no winery and owns no vineyards. Fred and Carol Schrader buy all their grapes from Andy Beckstoffer, who owns parcels of some of Napa’s most storied sites, including the historic To Kalon vineyard. Sources close to the deal tell Wine Spectator that Constellation executives have no plans to change Schrader’s production volume or the brand’s business model. Winemaker Thomas Brown will continue to make the wines at the Outpost winery. Volume will remain the same. So why is the brand so valuable? Since most of Schrader is sold direct to its mailing list of loyal customers, at full price, Constellation has an opportunity to move deeper into the direct-to-consumer business for its other brands, gaining access to a list of highly influential consumers, as well as big-name retailers and restaurants. And Schrader does have growth potential, if Constellation chooses to go down that road. Andy Beckstoffer owns about 90 acres of To Kalon. Schrader pays top dollar for his grapes from this vineyard, about $20,000 a ton. But Constellation controls most of the To Kalon Vineyard, roughly 550 acres, through its ownership of Robert Mondavi Winery. To lower production costs and increase profits, Constellation could allow Schrader to take a share of its Mondavi To Kalon allocation. Schrader could also move production to Mondavi’s winery, another potential savings. The availability of more To Kalon Cabernet Sauvignon could also allow the Schrader brand to grow from its current output. Schrader has the potential to be a 10,000 to 15,000 case brand over time. One day it could approach the size of Opus One, which is jointly owned by Constellation and Château Mouton-Rothschild of Bordeaux. Opus One currently produces about 26,000 cases per year, priced at $285 per bottle. For Constellation, the deal is part of a strategy of moving toward more premium wines. The company was built on value-priced wines, but in recent years much of its growth has come from beer, particularly the powerhouse brands Corona and Modelo. Constellation has responded by shifting toward wine brands that sell for above $10, and ones with strong identities. In 2015, it bought Pinot Noir brand Meiomi for $315 million. A year later it sold its volume-oriented Canadian wine business and bought The Prisoner red blend brand for $285 million and five brands from Charles Smith Wines for $120 million. With premium brands becoming more valuable, Constellation is expected to continue to be aggressive. So what’s their next target?